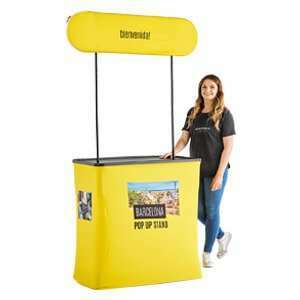 Our slim fabric pop up display stands are perfect for fitting into small spaces. 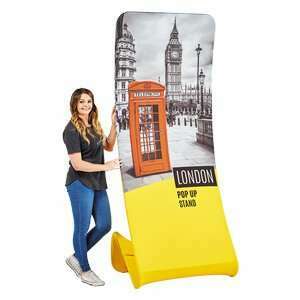 With their small footprint they are perfect for use in corridors, office reception areas or if space on your exhibition stand is limited. 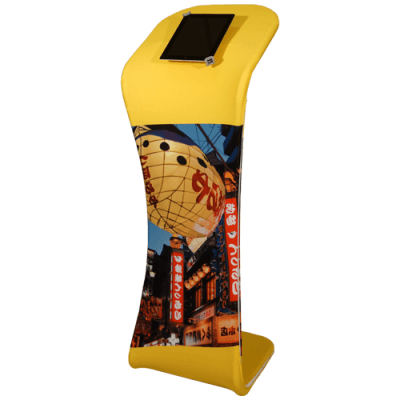 Display Stands are made up of two main components — a strong, lightweight, tubular aluminium frame and a printed fabric cover. The 260gsm ‘stretch’ fabric cover is printed on the front and reverse as standard. Designed to fit snugly over the frame, it is secured at one edge with a zip fastening. The fabric cover is washable, changeable, and additional covers can be ordered separately. 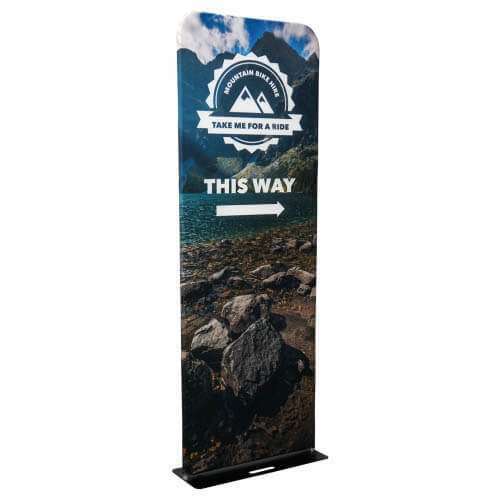 Full Colour Dye-sub printed on 260gsm 100% ‘Stretch’ polyester | Assembled size(mm): 800(w) x 2280(h) | Base plate size(mm): 730(d) | Washable at 30º with everyday detergent | Fire retardant and fade resistant | Fastens with zip | Supplied with aluminium frame and carry bag | You should expect some degree of show through, this will be particularly noticeable on designs with white or light coloured backgrounds.